The Elite 3 Bidet Attachment from Bio Bidet offers a simple and convenient way to wash with water after using the bathroom. It uses cold water only and installs directly on your toilet under the existing seat and requires no outlet or batteries. 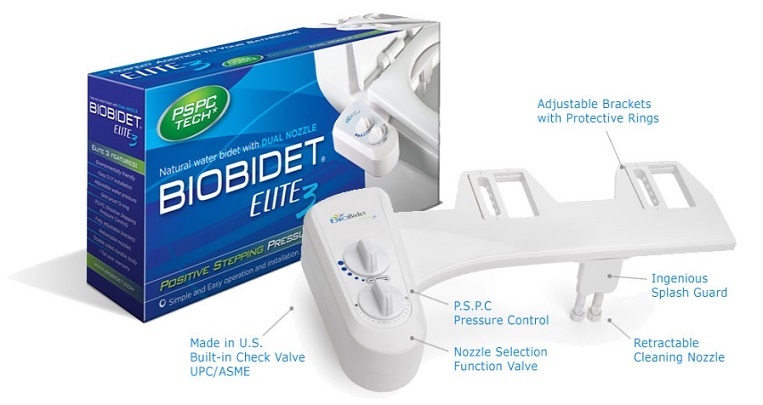 As a non-electric bidet attachment, the Elite 3 utilizes the power of water pressure to provide its wash functions. The Elite 3 connects to the water supply that runs to your toilet's water tank. The easy to use control panel allows users to adjust the water pressure for a gentler or stronger wash. It is also equipped with a dual nozzle system with one nozzle dedicated for posterior wash and a seprate nozzle for feminine wash. The nozzles are self-rinsing and are protected with a splash guard that prevents water from splashing outside the wash area. The Elite 3 comes with a full one year warranty and includes the T-connection and water supply hose necessary for installation. LOVE! LOVE!! LOVE!!! Easy to install; super easy to use. I grew up in Europe with bidets. It's has been almost 50 years since I have gotten off the toilet with such a clean bum. Again, LOVE! LOVE!! LOVE!!! I wanted a bidet seat for my RV toilet. Just about everyone said they would not fit. The Elite3 fit easily. 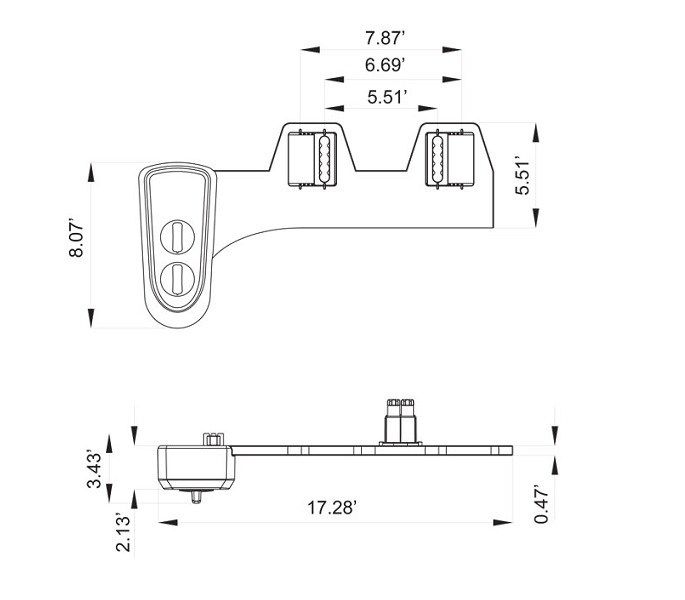 I needed a 1/2 inch tee, which BioBidet furnished for free. Easy to use. Flow angles correct. Installation was not complex. Fits Toto toilet fine.